The pen would be a good header image. 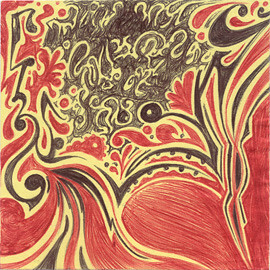 I love the red and black swirly drawing. I have fond memories of the late ’80s four-color pen, which made for great notes and diary entries in hot pink, purple, aqua and neon green. Cheryl, that pen sounds pretty 80’s alright. It would make a good companion to this one. I was recently envisioning a pen with a large assortment of colors. It wouldn’t be much wider than this one towards the tip, but would flare out to a carousel of, I don’t know, maybe sixteen colors. No doubt, they’ve probably thought about making one, if they haven’t already tried. I remember seeing a ten-color one, but it was too fat to draw with. Maybe your cutting-edge carousel technology will be what propels the multi-color ballpoint pen into the 21st century! I did indeed. Thanks for the catch! Can’t believe I confused proboscis with probiscus, a nose shaped like a hibiscus flower. 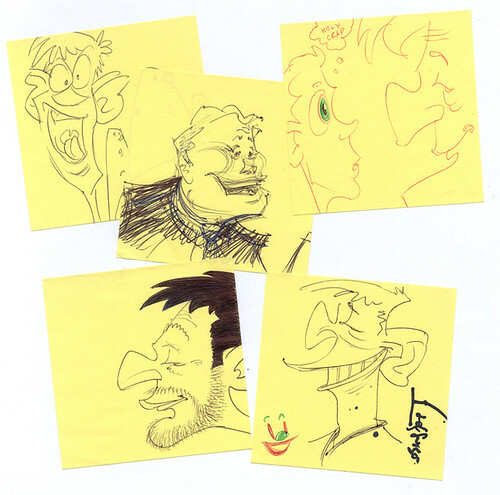 All of these noses fall into the general category of proboscis.